The fundamental starting point for everyone, and a place of constant, never-ending improvement is the core muscles. When I say core, I don’t just mean your abs. Your core muscles include not only the abdominals, but also the muscles along the sides of the midsection: the obliques, as well as the muscles along the lower back and spinal area, the diaphragm, and the pelvic floor. All of these muscles propel any other movement in your body. Raise your arm, and you use your core. Move your leg, and your core engages as well to stabilize you. Get out of bed in the morning, and, well .. you get the idea. If you’ve ever had a back (particularly a lower-back) injury, you know what I’m talking about: you ALWAYS use your core. 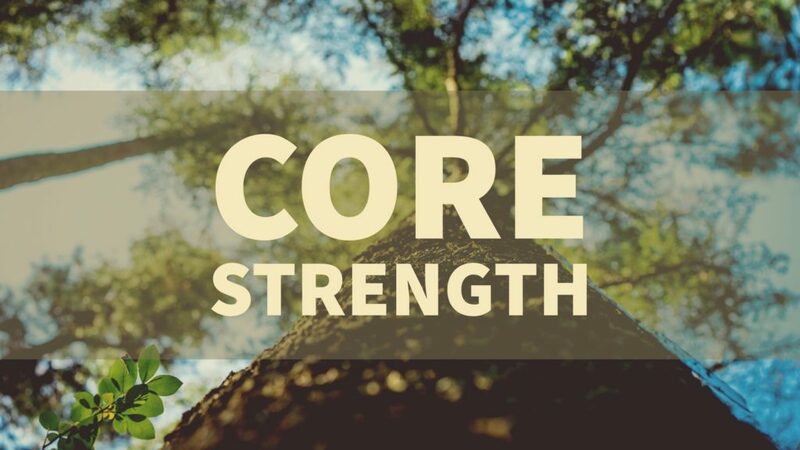 So if we use our core so much, shouldn’t it be strong? Well, yes and no. We are using it for the small tasks of the day, but many of us are not getting much more than that, particularly if we are in an office or sedentary position for a large amount of the day. Make everyday physical activities easier: from carrying groceries to getting a dish off of the top shelf. And, who doesn’t want a more toned midsection??? If you did 3 rounds of that every morning, it would take all of 7 minutes. Small time investment, great benefit. How can you include core strengthening exercises into your day? It’s worth it to be able to sit, stand, walk, and move more easily, with less discomfort!